Moving? As Durham Region movers, please let us help you leave stress behind. As experts in local and cross-country moves, we draw on our 13 years’ experience to deliver the best services, at fair prices. Our office in Ajax is conveniently located to quickly provide you with the materials you need to protect your belongings. It also means that you have fast-and-quick access to our expert packers. 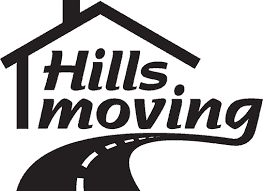 Hills Moving services much of Ontario, particularly the areas of Toronto, Durham, Northumberland County, Barrie, Hamilton, Oakville, Brampton, Mississauga, Bradford, Newmarket, and Peterborough. If you are in need of a helping hand to lift and carry your belongings, give us a call and we will promptly take your items to where you need them. Learn More about our many services. Moving? Please let us help you leave stress behind. As experts in local and cross-country moves, we draw on our 13 years’ experience to deliver the best services, at fair prices. I used Hills for my move last week. I was booked in as the 3rd job of the day and when the guys saw all my stuff they were a little discouraged. Lol Shawn, Nick, and Doug then did what professionals do. They busted their butts! Worked fast, and efficiently. Incredible attention to the care of my items meant that nothing was broken or damaged. They chatted with me. Helped reduce my stress about my move and made me feel like I was top priority! Incredible guys. Brandon, you’re lucky to have them. I hope you treat them well! They worked till over midnight without a single complaint! Even refused the food I offered saying there wasn’t time to stop and eat. I was impressed with Hills, the quality for the price is fantastic, and I’ll use them again! from the moment they arrived till the time they left they worked hard.. even though it ended up being a late night they never stopped .. They were organized and knew just how to handle everything with care, taking the time to wrap and pad all my things including the small stuff… Great Team work and so polite.. They made my move a lot less stressful and a smooth one… Thank you Hills moving and Conor and Austin for everything .. I can’t thank you enough… Truly appreciate everything .. highly recommended to make your move a great one..
Brandon and his team were great! We had two moves with them. First was my parents move from Toronto to Oshawa. We had Patrick, Kevin, Connor and Dylan. All stellar guys and very courtious. Everything was wrapped and packed professionally. Unloading was very professional as well! I called hills and the owner had 3 guys come to my house the next morning. The three men that came to my house were absolutely amazing! Very professional and fast while also having fun at their job which was nice to see. I will recommend you guys to anyone I know that’s moving, thank you again! The team from Hills did a fantastic job. Connor, Liam and so sorry can’t remember the 3rd were polite, efficient and made me feel as ease that they would look after our things with care. Our hardwood and carpets were covered with runners and they were prepared for unexpected removal of couch legs and such when a few item were tricky to get into the new home. All our furniture, mirrors and art were carefully wrapped and loaded. Highly recommend. Searched around for Movers and with Wills response and friendliness over the phone my decision was made. Gave the to and fro and by Monday December 11th they were at the door. Fron the start time to finished totally awesome. Mike and Austin were polite and very respectful of all contents of the home. I am glad we had Good laughs as well! Thank you Brandon, Will, Mike and Awesome Austin! I want to pass on my gratitude and appreciation for a smooth move. I want to pass on my gratitude and appreciation for a smooth move. The staff were helpful and knowledgeable. Brandon was great to work with, and I want to thank him as this was my first time moving, and he did everything in his power to assist and make sure that everything was done professionally. I would absolutely recommend Hills Moving to anyone who wants a stressless move. The most awesome movers ever! The most awesome movers ever! Moved downtown at the begin of this month and Kevin and his crew took extremely good care of all the furniture and other stuff. Came right on time and took away all the pressure we were feeling from the minute they started.. true professionals! Would recommend without any hesitation. Would highly recommend and would refer in a heartbeat! We used Hills Moving for what ended up being 3 different moves and the team from communications to booking to the actual guys moving the furniture and boxes was phenomenal and very professional and they took the extra time and care to ensure my brand new floors were covered and kept clean and dry (it was raining for 2 of the moves). The pricing was fair and the customer service and professionalism far exceeded what we expected. We used a different moving company for a prior move and we were VERY hesitant in hiring another moving company so we didn’t have highest expectations but thankfully, Hills Moving changed our minds and we’ve got a new Moving Company now. I’d also like to point out that Hills Moving also moves furniture from your onsite shipping containers into your house and not just from house to house. Would highly recommend and would refer in a heartbeat! Thanks Hills Moving! I highly recommend Hills Moving. I highly recommend Hills Moving. I had to transport a heavy piece of furniture with short notice. Brandon and his team were very accommodating…. and saved my back! The guys were incredibly careful when moving the item out, as well as transporting it to the new location. Thanks so much and I will definitely be calling you again. I would never hesitate to recommend Brandon and his team at Hills Moving! I would never hesitate to recommend Brandon and his team at Hills Moving! They were courteous, professional and efficient. They took all the stress out of my move recently. Great work guys!! Hills moved my 88 year old mother-in-law yesterday from her 14th floor condo to the 6th floor of a seniors residence (Scarborough to Pickering). The guys arrived promptly (a little early actually which we appreciated), shook our hands, introduced themselves, and went to work like a well oiled machine. They were respectful, discussed issues with us before proceeding, such as pre-existing damage. (When you have 100-150 year old antiques, they pick up scratches and dents through the years). They methodically wrapped and took great care to protect as much as possible all the furniture and antiques as if they belonged to them. I can’t say enough about how they took the stress of the move off our shoulders by simply doing the best job you could ask for. Thank you. As experts in local and cross-country moves, we draw on our 13 years’ experience to deliver the best services, at fair prices. 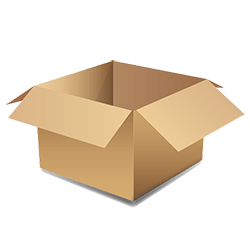 Upon scheduling your move with Hills Moving, we will bring you up to 30 boxes, 10lbs of wrapping paper, and two rolls of tape for a small delivery fee. Wardrobe boxes and mattress bags arrive on the day of the move. Hills Moving offers free in-home estimates with our experienced estimators. We will make a detailed inventory of your contents and plan the logistics of your move, so you have peace of mind even before you move. We only charge you for the time we work on your move and the time it takes us to get back to our yard. We will not charge you a 2 or 3-hour minimum just to show up and we don’t charge for any truck fees. Hills Moving does not add any fuel surcharges or truck fees to your final bill. Want to settle in faster? Book Hills Moving to unpack your belongings services in your new location. Call us when you need a reliable relocation company. At Hills Moving, we are a professional team of movers and we proudly provide five-star service at fair prices.